Fashionable and classic modeling, adjustable back and calves support. 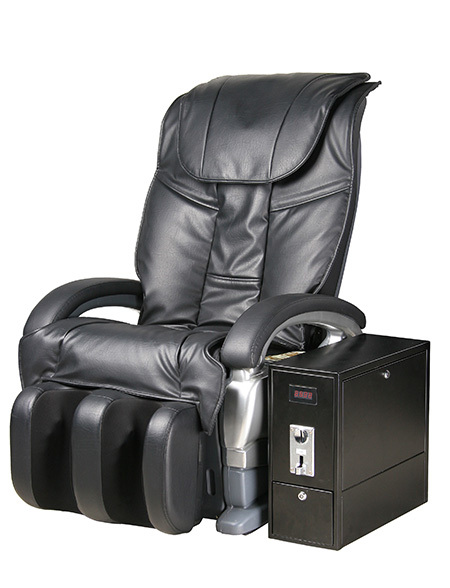 Vertically movable mechanic massage hands in the back, tapping and vibrating in the seat cushion, kneading in the calves splints. The choice of currency, number of coins and working time can be preset ; the digital display shows its working state; control included. The coin operated machine matches other models of massage sofa.